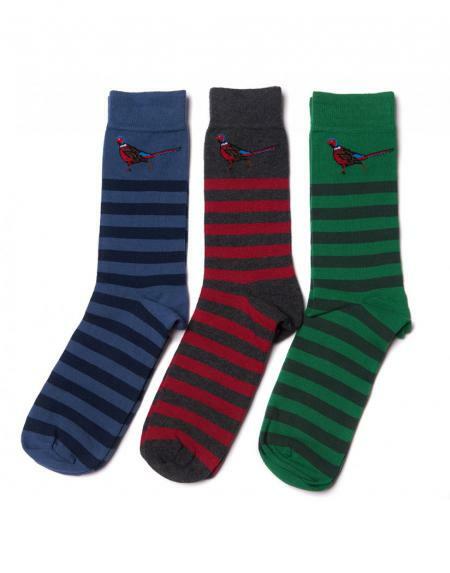 Barbour Pheasant Sock Gift Box Set. Crafted from a soft cotton-rich blend, these Barbour Pheasant Stripe socks are finished with a jacquard-woven logo, a nod to the brand's countryside heritage. Presented in a premium gift box, these socks make a great present no matter what the occasion.